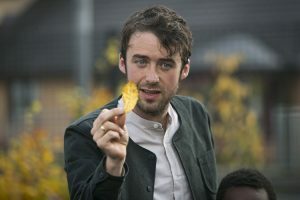 Ben Mali Macfadyen is an artist, activist and community facilitator who has been part of the Out to Play team since the project was created in 2015. When he isn’t taking primary classes on imaginary adventures with Eco Drama, he teaches nature awareness, sustainable leadership, decolonisation and creativity skills with diverse communities across Britain. He is committed to working alongside teachers and other community leaders whose commitment and skill is an endless source of inspiration. He currently works with teachers, children, organisations and community groups across Glasgow for The Village Storytelling Centre, Pollok.